We believe we are what we need. Join our Be Free Street Giving Collective and be a part of making theater accessible to all in Chicago. $25 = Supports cost of materials for one workshop session. $100 = Supports free children’s co-programming during events. $400,000 = Pays for EVERYTHING. The whole shebang. Congratulations! You own us. (That’s our annual budget.) *JK – no one owns Free Street, but thank you for your support. Besides the warm and fuzzy glow of philanthropy, the Be Free Street Collective comes with perks! Monthly donation of $1 or more: your name on our Be Free Street wall in lobby and invitation to our Season Brainstorming Session – help us decide new programming. Any donation of $25 or more: this year’s Be Free Street shirt, plus the above. 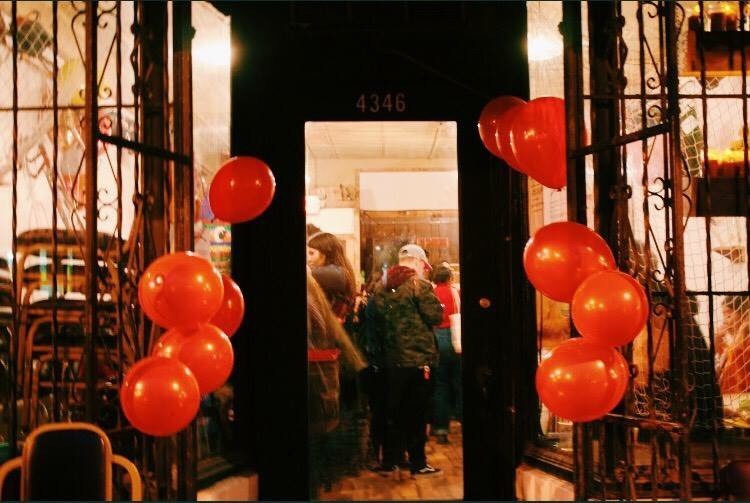 Monthly donation of $10 or more: 2 for 1 ticket to our annual Radical Love party, plus a VFSP (Very Free Street Person) pre-gaming hour and toast before the party, plus all of the above. Donation of $1000 or more annually: your name on website and all printed materials, an exclusive Dinner With the Artists invitation, and all of the above. Donation of $400,000 or more: WE LOVE YOU, TELL US WHAT YOU WANT. We need your help to build a strong foundation for our future. If you believe in what the arts can do for our city, and support Free Street’s mission of making theater broadly accessible to all, please consider being an advocate for us in the coming year. Do you have or can you provide us these items? Love Free Street? Join our board and help support this historic organization grow past 50. Board meets every other month and connects Free Street to potential donors, new audience members, and other organizations.